I Have A Class Set Of iPads, Now What? I recently joined current society. February 7th I received my very first iPhone. Group messages? Emojis? I had no access to these things until this past Friday. When I first received my smartphone, I started downloading the necessary apps to survive: Twitter, Facebook, Snapchat, Four-Square. Then, I started on apps that I personally needed: Starbucks, Groupon, ESPN Score Center, Groovy Grader. Remember when the iPad/iPhone revolution occurred and the phrase was, “there is an app for that?” Well, it is true. There is an app for everything and everyone. These devices are supposed to be personalized. Now look at this through the lens of the school system, it is not as effective to have five devices or worse one per classroom. 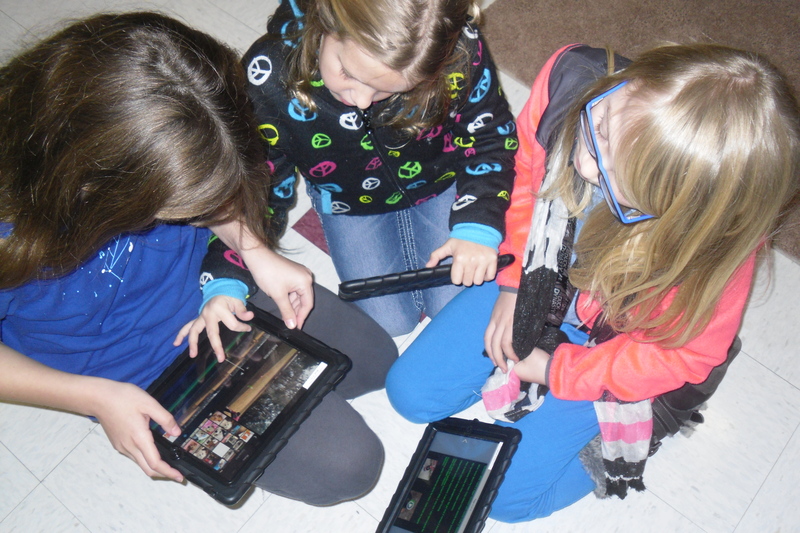 If a school or district wants to deploy iPads appropriately, there needs to be a 1:1 relationship. If a district is hesitant to purchase devices for an entire school or group of schools, they should try a pilot class or school. This will show real results. These devices are meant to be used by a single person. Although our students can’ t pick and choose the specific apps they want to download (thank goodness!). They can choose the apps they want to create with available on a device. If we limit a classroom to a few devices, the full potential will not be reached. Is your school willing to pilot devices? Go for it! Do you have devices, but make students use them a certain way? Freedom within a specific set of expectations is the way to go. Not sure how to begin? Dive in! « ChatterPix Kids: Bring Any Image To Life!